Spring has officially arrived and it's so wonderful to look forward to warmer days spent outdoors sipping lemonade on the porch, having lunch with friends at an outdoor cafe or enjoying a picnic in the park. For us Floridians we've already been enjoying this weather for months but as someone who grew up in the north, it was the time of year I always looked forward to so I could wear sandals again! sky' color is perfect. Below I've linked to some fun sales happening right now! JOIE- Up to 50% OFF women's apparel & accessories + FREE shipping. If you haven't heard of Revolve Clothing yet, I highly recommend checking them out! I discovered them about a year ago and they have some of the most stylish and pretty dresses, tops and cover-ups around (they also happen to have some cute items on sale right now). Like Nordstrom (one of my favorite stores), they too offer free shipping + free returns always, no matter what your purchase amount is. Total hassle-free shopping in my opinion! I'd love to hear what you have on your wish list for spring! What is your favorite item here? Lately it feels as though this year is just zooming by, doesn't it? I feel like we just celebrated Christmas and the start of 2015 and now we're looking forward to Easter in just a week's time. I've also been thinking about another special day...Mother's Day. It's hard to believe it's just 6 weeks away! I try to stay organized and prepare a bit early every year as my mom lives in Canada and I always have to factor in extra shipping time for gifts being sent from Florida. I try to be as creative as possible and mail something meaningful in lieu of time spent together during an experience such as a treatment at a spa, enjoying lunch or an outdoor mother-daughter date as we once did before. Now that I'm a mother myself, I have a better ideas as to what most want and need when it comes to a tangible present so I'm putting together a little list below in case you're also the type who likes to plan in advance (or at least pins things to revisit later once early May rolls around). This is not a DIY homemade gifts kind of post, it's the opposite, so if you're super busy like I am right now, you can order these easily. Everything here is ready-made but are still thoughtful and practical gifts she'll truly use and enjoy. 1. Fresh Flowers- As someone who loves receiving a beautiful arrangement, it's something at the top of my list which I always include above and beyond any wrapped up gift that makes its way via snail mail. One online shop recommendation for beautiful bouquets is to buy flowers for Mothers Day from Fresh Flowers. Since I'm not able to be physically be present with her and show up at her doorstep with a bouquet in hand, it's a gesture she always enjoys (and tells me how it brightened her day) when I call her. 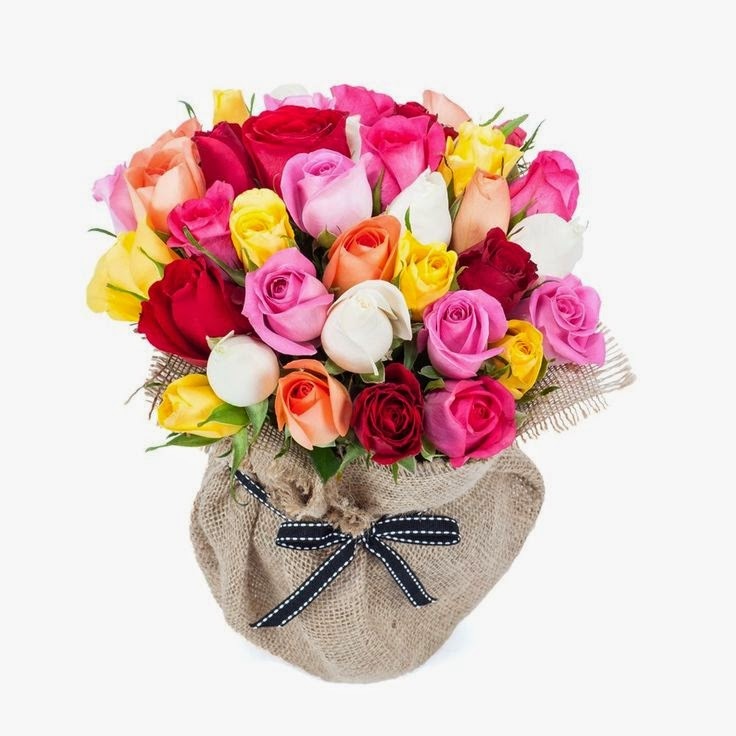 If you live long distance from your mother, alongside another gift or delivered on its own, a bright & cheery bouquet will always make her smile. 2. Plated Gift Subscription-Whether your mom is retired and has a lot of free time on her hands, is very active and prefers quick + easy meals or is looking for healthier meals comprised of whole foods that take less than 30 minutes to make, the chef-inspired meals by Plated can be delivered straight to her home with all the ingredients already perfectly portioned. It's a great way to try new recipes without having to invest in a bunch of ingredients she may never use again such as spices and frees up extra time spent at the grocery store. Each recipe comes complete with step-by-step instructions and is sure to please. 3. At-Home Facial Brush- As much as we all enjoy spa treatments, it's so nice to have a tool that can be used whenever you want, wherever you want (perfect for travel!) in the comfort of your own bathroom. The Clarisonic Mia always leaves my skin feeling super soft and my pores ultra clean. It is actually proven to cleanses\ 6x better than with just cleanser and water alone, important for preventing aging and keeping skin healthy and youthful. My mom and I both love our Mias as we are pretty natural with our makeup when we wear it but they also offer versions for those such as a a makeup removal expert brush or a deep pore cleansing brush for those who need a bit of a deeper clean. Another cool handheld brush product for giving you an at-home experience is their pedi version. Their Pedisonic softens rough heels-perfect for sandal season! 4. Cute Pair of Flats- No matter what our age, every woman needs a pair of go-to flats that are not only comfy but equally stylish and pretty. 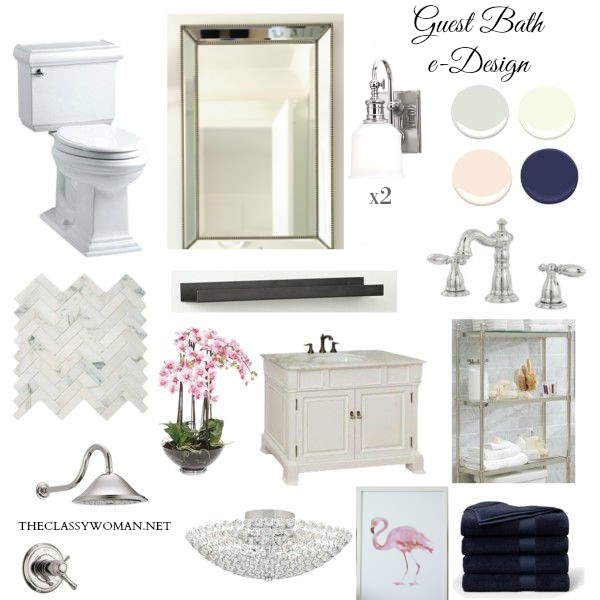 Below are some of my favorites-perfect for spring! I have several pairs as a mother to an active toddler that I'm pretty much living in these days. 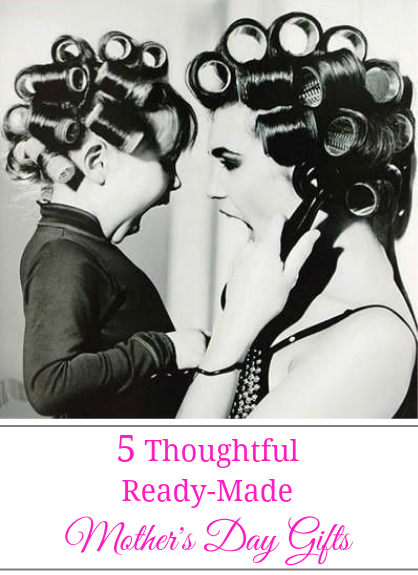 Here are some of my favorites which are perfect for all ages. 5. New Handbag- I don't know any woman who doesn't love the feeling of a gorgeous new handbag on their arm. The last time I visited my mom I helped her pick out a new handbag as well as a cross-body bag since she does a lot of walking and running errands by foot locally. When choosing the perfect gift for your mother, choose something totally different from what she already owns. Instead of black, tan or white (which are common neutral bag choices) gift her with the boldness of a bright color or this season's must-have new neutral, blush, which I'm sharing below. What gifts do you OR your mother most appreciate receiving for Mother's Day? Workout clothing can be a fashion statement for some or an afterthought for others. If we're going to invest time into building a strong, healthy body, it deserves more than a pair of baggy sweats and an old t-shirt, wouldn't you agree. Not to mention, those don't flatter and are anything but feminine. When it comes to investing money into active wear, it might as well be fun and fashionable as much as it is practical. There is definitely a surplus of black yoga pants, shorts, capris, running leggings and the like to be had but let's face it, black (while a great staple) can get boring after a while. With this being the first week of spring, I encourage you all to add some color and style to your workouts. I know my drawers of active wear could certainly use a boost! So, I've been on the hunt for some new pieces and I've compiled my favorite pieces which include a lot of head bands that will keep hair in place and stay put. Whether you have long hair or short (I've had both), it's always a challenge. There's nothing more annoying than having to redo your hair while in the middle of yoga class because it's turned into a hot mess as your hairband slid off during mid-downward dog. Many people find new workout gear motivates them, so if you're just beginning a new program, that's a great place to start. Whether you're a runner, tennis enthusiast, yoga devotee, Pilates enthusiast, spinning junkie or you just love a good workout with weights, you're going to want to stock up on some classy yet playful attire to keep you looking forward to your sessions. I can admit that my go-to for bottoms in the past have almost always been black (although I do balance that out with a bright top whether it's hot pink or a bright neon yellow). My reasons were always that they don't show sweat and are slimming but there are many colors and patterns that offer those same benefits. So, I've been thinking about switching things up lately and I'm loving all the gorgeous patterns and colors I've been seeing for bottoms! Life is too short to wear boring clothes. Activewear it actually a great place fashion-wise to venture outside of your comfort zone, it's a category where you can be a little more daring and not take yourself too seriously. Below are some of my favorite options that include bold color, pattern and design yet are completely practical and functional at the same time to get the most from your workout. You'll notice that I've included a couple black pieces because I really liked the overall design-one includes a lace look, the other has a great back. Click on any of the images and you'll be taken straight to the item source with more details. If you've just begun working out for the first time and looking for basic, classic pieces, I wrote this article on What to Look for in Your Workout Gear. Have you picked up any colorful pieces that you'll be wearing to the gym or outdoors soon? If you liked this post, feel free to share the love or pin the top image in this post to Pinterest. Yesterday, I posted my usual 'Sunday's Thought' on our Facebook Community Page, however this time I posted a little challenge that starts today for the next 24 hours. Feel free to join myself as well as the others to go without complaining for the entire day starting whenever you come across this post! I shared it via Instagram too and one reader actually suggested it as a family challenge and tagged her family members which I think is an awesome idea to change the dynamic inside of our homes. You may remember me sharing my New Year goals and how complaining less was on the short list of things I really wanted to work on for 2015. As a Christian woman who desires to live like Christ and follow biblical principles, what I know for sure is that God doesn't bless complaining. In fact, there are many scriptures confirming this and we are commanded to be thankful in all circumstances and for all things. Regardless of your spiritual background (or lack thereof), I think we can all agree that murmuring is not very becoming of a lady. I really believe that if we truly want to enjoy our life to the fullest, we must discipline ourselves by fighting the urge to complain. Instead, we can find gratitude in the very same circumstance. It's much easier said than done and something that I'm still working on myself every single day. Doesn't it seem as though the times we really try to be cognizant of this area and work towards doing better that it's precisely when life throws us a bunch of curve balls and allow us to cross paths with people that will test this even more? Knowing this, I'm already going into today expecting it but choosing to redirect my thoughts before they become the words that I utter. You might be wondering why I included this in our Manners Monday series. In a previous post I wrote about how Complaining Isn't Classy. Etiquette and good manners are all about choosing our actions and words wisely, that we may make others around us feel comfortable. Have you ever been around someone who goes on and on endlessly about something that's making them unhappy? Of course, we all have. We may even live with people who do it regularly. It's an uncomfortable feeling when you're on the receiving end listening and can feel like such a drain of your time and emotional energy. Asking questions or chiming in with a comment to be a polite conversationalist may only encourage and prolong the negativity. That's the thing about complaining, it can quickly spiral out of control if we're not careful and it will alienate those around us. It will cause others to no longer find us good company and it becomes part of our...wait for it....REPUTATION. I don't know about you but that is the last thing I want to be remembered for or have as part of my lasting legacy here on earth. For me personally, if I can be honest with you (although there is never a good excuse for complaining), a lot of my past complaints began a few weeks after the birth of our daughter as I felt exhausted and overwhelmed by my new role and wasn't receiving the help and support that I was asking for from my husband. I think this happens a lot for new mothers so I know I'm not alone. When you don't have any family surrounding you that lives nearby or is willing to help, it can feel very lonely. My asking eventually turned into complaining. Over time I became the kind of wife that I really never wanted to become which was a nag. At the time, I felt like I was drowning with so much to do and such little time, with a lack of help and sleep which was later magnified when he took a work position overseas for 6 months while she was still just a young baby at 5.5 months old. I know many of you mothers can relate-especially the single mothers, as women we naturally take on the majority of the workload in the domestic arena and it can feel very overwhelming sometimes. I was desperate for some time for myself but at the end of the day, I recognized that complaining wasn't helping our situation. In fact, it was starting to drive us apart and when I really started paying attention to the words that were coming out of my mouth along with my tone, I didn't like who I was starting to become and that was my turning point. One of my biggest complaints was that he wasn't spending enough time with her and although I felt frustrated at times, I had to make the decision to see it from another perspective-that although I wasn't getting that alone time I craved and needed, not spending more time with his daughter was his own loss! She was never going to be that age again and if he didn't make the time now, he would be the one losing out in the end vs. focusing on what I was missing out on. Sometimes we just need to adjust our lens to see things in a new way. That was what got me through, knowing I was getting to savor every precious moment I could of baby time with my girl. In life we're either part of the problem or part of the solution. There is so much power in the latter. In the end, after a bit of trial and error both while she was jut a few months old and then again once hubby arrived back home from living overseas and Lily had turned a year old, we finally got into more of a groove and a schedule that works for both of us given our current lifestyle right now. It's not perfect but it's constantly evolving and I'm continuing to be grateful for the time he spends with her and the new ways he continues to step up as a father. Lily adores her time with her daddy (as does he) and I have found new ways to ask for help with her and around our home that he will respond to. It's definitely made for a happier home. There is always more than a single perspective...what one person sees as an annoyance, another finds the blessing in. Look for the silver lining even when it's different from what you wanted, hoped for, prayed for or planned on. I truly believe what we focus on becomes bigger and multiplies. So, let it work in your favor! Let me know in the comments below if you plan to join our little challenge! Did you like this post? Be sure to pin the image above to Pinterest to encourage others to try this challenge in their own life as well. Wow! Has it really been a month already since my last post? I apologize for my inconsistency lately. Many of you already know I work as an Interior Designer by day and offer e-Design services so as soon as the weather feels remotely spring-like, I get an increase of design projects to keep me busier than usual on top of my usual mama duties to my active little 18-month old. I actually have a list of post topics that I've been meaning to write on and can't wait to share with you all soon. Since I continue to receive requests for fashion-related posts as it pertains to being a classy woman and with spring arriving in just days, I thought this would be the perfect time to talk a bit about investing in the right pieces of clothing for the new season and beyond. Today, I'm sharing 8 tips that will help you maximize your wardrobe and keep you from wasting money on pieces you'll never wear. A classy woman's wardrobe is timeless, classic and filled with well made pieces that best reflect her sense of style and compliment her silhouette. I want to zero in on how you can build that kind of wardrobe. Do you tend to buy clothing that still have the tags on months after you bought it? Do you own pieces that you realize you've actually only worn one time? This post is for you! 1. Take Inventory and Make a List- Just like grocery shopping, in order to stay on track (and within your budget) it's so important to make a list of what you actually need or are looking for in particular. It's easy to get sidetracked by a sale or all of the cute shoes and handbags only to realize you left the store and didn't buy that new blazer you needed for work. First, take stock of what you already own. So you don't end up with a closet full of the same types of items such as another black cardigan, striped blouse, dark flare denim, etc., look at what you already own and figure out what holes exist in your wardrobe. Maybe you're good in the professional attire department but lack a lot of casual clothes like a great fitting pair of jeans or no longer have a go-to little black dress which is a staple. 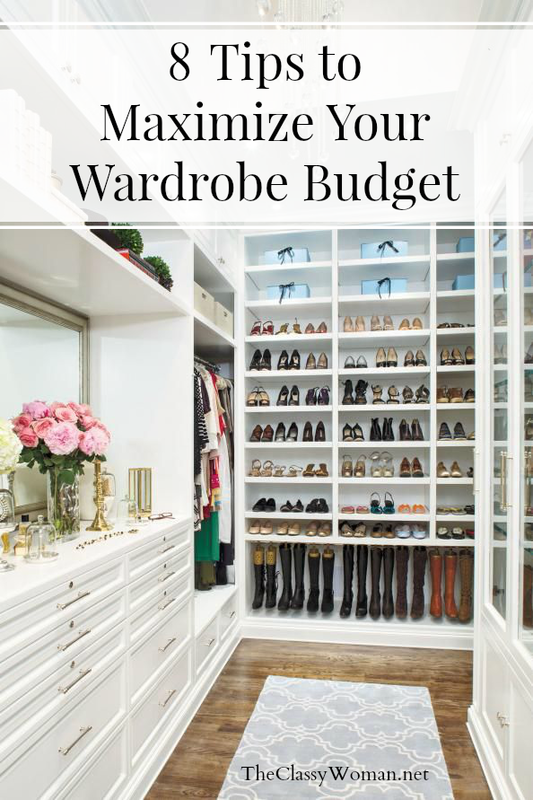 This will not only save you time and money but it will help keep your closet and drawers more organized when you don't have so many duplicates. 2. Understand Your Body Type- One of the number one reasons why clothes hang in closets with tags still on is not because the opportunity hasn't arrived to wear it but rather that the color or overall silhouette/fit is not right for your body type. A classy woman makes note of what works well for her and what doesn't and steers clear of those that don't flatter her figure and skintone. Using myself as an example, I know that a lot of paler colors such as peach and light gray look terrible on me, they wash me out so I don't even waste my time trying them on. We all have favorite clothes we gravitate towards and wear more than others and it's usually because they are the most comfortable, fit well and we just feel good in them. In order to project confidence, you have to feel good about yourself and how you look in your clothes is definitely a great head start. 3. Quality over Quantity- Before bringing home some new threads, ask yourself if the quality is such that it would endure years of wear? Really, that should be your goal when purchasing anything. Take a look at the stitching. It is stitched securely or loosely with random threads hanging or buttons that don't appear to have a strong attachment to the garment? Zippers should all run smoothly and button holes should be stitched well. Jackets such as blazers as well as structured dresses should be lined. The overall fabric is a great place to start, if it looks cheap, no matter how cute the print or overall design, leave it on the rack. 4. Take a Selfie- Smartphones are the perfect tools to use while shopping, especially when you're going it alone. Snap a photo of yourself in the changing room wearing the new item or outfit you're considering. If you're feeling unsure, take a break and continue shopping elsewhere, trying on other options so you can compare how it fits. Salespeople are usually little help because most are there to make a commission from your sale so they'll almost always tell you something to encourage you to buy. You can also text a friend for honest feedback to avoid a return trip. Of course, if you're buying online (which I often do), you can use the same method in your mirror at home. Sometimes we see things more clearly when it's in a photo vs. on us. 5. Create 5 Outfits- While shopping, make a mental note of what other pieces you already own will coordinate with the one in question that you're considering. Will that new silk blouse you're trying on go with more than just a pair of black dress pants you love? Do you own a skirt that it will pair with nicely or another pair of pants in a different color or pattern? Can it also pair well with jeans or even a pair of dressier shorts? Unless it's an outfit or dress for a special occasion such as a wedding, it's imperative that it play well with other garments in your closet. Once you are home you can put on a little fashion show (as my husband calls it when I pull a bunch of items out of my closet and start trying everything on together) to see what works an what doesn't. If you successfully created 5 or more different outfits with various accessories, shoes, jewelry then the item is for sure a keeper. If you're getting stuck with just two different looks, your money is better spent on something else. This is another great time to pull out a camera and take photos. Store them in a folder on your phone or on your computer for reference when you're feeling stumped on how to wear your new item differently, you'll have your very own look book to refer to. 6. Read the Care Label- Special care of items such as dry clean only garments will need to be factored into your overall budget. As someone who used to dry clean nearly all of my professional attire, I can attest to the fact that it adds up quickly. You may stop wearing various pieces if they need special care and become more high maintenance than you anticipated. If you don't have the time or money to invest in special maintenance, it's best to stick with pieces that are wash and wear. Often times just washing in cold water inside out on delicate and hanging or laying flat to dry can extend the life of your clothing encouraging it to keep its shape and color. 7. Keep the Tags On- Sometimes, despite our best intentions an item just doesn't work out the way we had hoped. Maybe the weather warmed up too quickly/cooled down too fast and we don't envision ourselves wearing it as much as we planned on. It could be that we decided to try a trendy new style but realize that while cute on others, it's just not working for us. Perhaps during another shopping trip, you come across something far better that you know you'll wear more often. In these instances, keeping the tags on and receipt filed away (or clipped to the item's hanger with a clothespin) will make your life easier and allow you to get your money back or at the very least get a credit towards something else in the store instead of wasting good money on something you'll never wear. I keep the 'tags on' items at the front of my closet where I can see them every day reminding me to make a decision. If you really want to get fancy you can add a little sticker to the hanger with the return by date if you have a few pieces there. Lastly, make a mental note of why you returned it/what you didn't love about it. You might see patterns over time and you can use these notes to avoid similar purchases in the future. 8. Do You Love It?- Before spending hard earned money on something new, whether it be clothing; shoes, a new handbag or jewelry, it's important to ask ourselves if we really love it. There is a big difference between something we love and just have to have vs. something that will do and fill a gap in our wardrobe because we haven't come across the perfect piece yet. Especially when you're on a tight budget, the last thing you want to do is waste your money on something that's only so-so when the dream piece you had been looking for showed up in your life a month later. As an Interior Designer, I tell my clients the exact same thing when it comes to their home. It's better to buy slowly and build a home you love vs. spend your money on inferior items that were never your first choice. As with all things in life, never settle. Sometimes we get influenced by a shopping buddy such as our friend, sister, mother or even our significant other, but at the end of the day we have to feel good in it, no matter how wonderful others think it looks on us. This post was meant to address the actual pieces considered. In terms of saving money and getting the most for your money, here are a few additional tips. Try to only shop only when there's a great sale, which happens quite often so that's pretty easy to take advantage of. Loyalty programs with stores such as Loft, Banana Republic and Nordstrom (just to name a few) offer perks to their customers and special members-only exclusive discounts. Other shops and department stores will often mail coupons but the best bet is to subscribe via e-mail to stay in the know. If you can discipline yourself and not jump at every sale in your inbox, it's a great way of buying several items at a 50% off spring sale for example vs. paying full price. Many retailers are notorious for offering free shipping during their sales also. These days between coupons, in-store sales promotion, online discounts and buying in discounted retail chains, there is no reason to pay full price for anything if you can time it properly. Shipping is obviously an added cost to consider which is why you see me share wardrobe staples from Nordstrom quite often (well, that and the fact that they have a fabulous selection of gorgeous items). They offer free shipping on every single order no minimums and they're return policy is amazing if something doesn't work out, you can simply pop it back into the mail with no charge to you. Another great sources for wardrobe staples that you may not have thought of is Amazon! No longer just for books and electronics, they offer great fashion too. If you're already an Amazon Prime member you get free shipping, their returns are easy too. They have such a wide selections of goods. Get to know which retailers offer free shipping everyday, it can really add up in savings. Speaking of deals... if you're looking for some classy new pieces to add to your current wardrobe, here are some great spring sales happening online right now that you won't want to miss! Now, I'd love to hear from my readers! How do you make the most of your wardrobe investment? 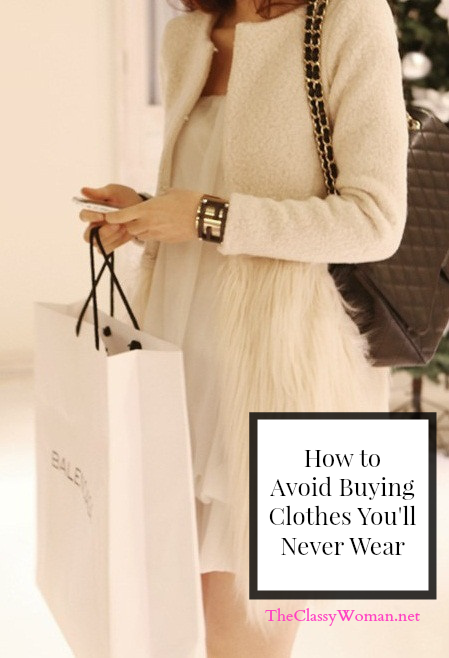 Do you follow any of these guidelines while you shop? If you liked today's post, be sure to share it, tweet it or pin the above image to Pinterest!